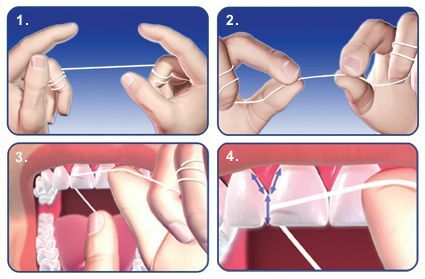 Flossing is one of the essential actions you should take to care for your oral health every day. The American Dental Association recommends daily flossing for optimal dental health. 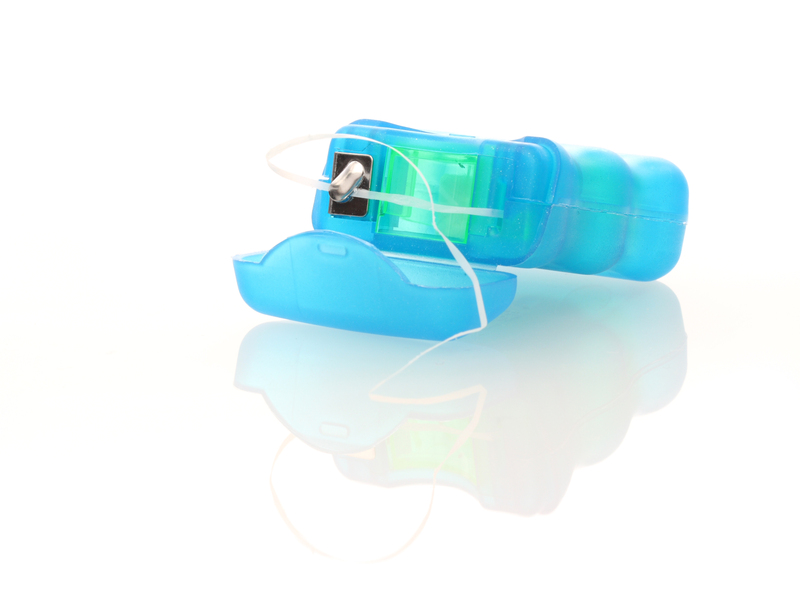 The U.S. Department of Health and Human Services also emphasizes the importance of flossing. Flossing can ultimately help remove plaque from areas your toothbrush can't reach, and the removal of this plaque can improve human health. It's not only important for you to floss, but it is also essential that you do it in the right way. Avoid these common flossing mistakes to get the most out of the daily dental care practice. When you're flossing, it's important to get the plaque off your teeth, but don't treat your teeth and gums as though they are enemy that must be attacked. Be gentle on your teeth and gums during the flossing process. If you floss your teeth roughly, you can make your gums bleed and cause other dental health issues. Instead, take your time to gently remove plaque from between your teeth. The point of flossing is to get plaque away from the sides of your teeth. You are reaching between your teeth when flossing to move plaque away from the gums. So, if you are flossing your bottom teeth, you should be moving the plaque upwards with every movement. When flossing the top teeth, focus on bringing the plaque down and out of the mouth. Never put physical pressure on your gums with the floss. There is no need to pull the floss at the level of your gum tissue. If your gums aren't healthy, they may bleed, or you can experience pain. If you regularly put pressure on your gums with floss, you could create lasting damage in the tissue in the form of a furrow or cleft. Don't risk it. Never rely on flossing alone for your dental care. Although flossing is an important part of your daily oral care habits, it should not be used on its own to clean your teeth. You still need to brush your teeth twice each day for two minutes at a time. You also should rinse with a mouthwash that suitable for your dental needs, and it's important to see a dentist at least twice each year for professional cleanings. When you're flossing your teeth, you don't want to attack the spaces between your teeth as though the floss is a car on a race track. You're not in a competition to see how quickly you can get this chore done. If you floss too quickly, you can have poor technique and inadvertently irritate or scrape your gums. nce per day, whether in the morning or at night before bedtime, should be ideal. Finally, keep in mind that flossing is a very important part of your daily dental care routine. For optimal oral health, you should also see a dentist on a regular basis for a cleaning and checkup. At Milner Dentistry, we are a true family dental care practice, and we welcome you and every member of your family. Your smile and dental health show are important to us, and we strive to help you thrive.